A set of 14 free standing lace crochet machine embroidery designs. 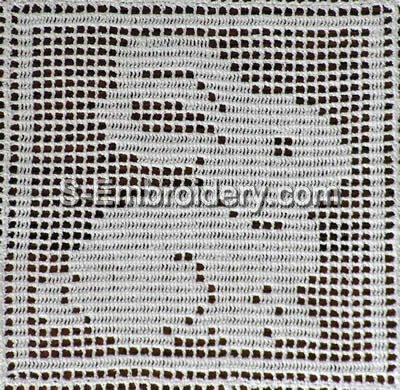 It includes 8 FS lace crochet squares with Easter decorations, 1 FS lace crochet corner and 5 FS lace crochet border embroidery designs. 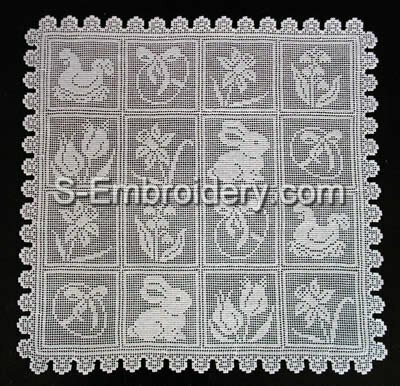 The set can be used to produce a nice Easter doily, table runner or table topper. 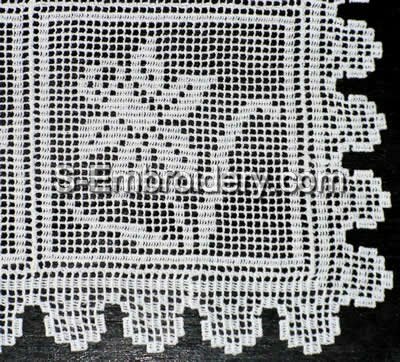 The crochet squares can also make fine decorations for pillow cases, curtains, tablecloth.